Designing and building large commercial pool solar thermal systems presents many interesting challenges: sizing the array to meet the pool needs, piping arrangements, thermal expansion, flow balancing, drain strategies, freeze protection, roof connections, water proofing, controls and monitoring, and more. Read on to learn how to address the unique challenge of controlling and monitoring these mega solar systems. Although thermal energy takes the lion’s share of pool operating, it would be smart to pay attention to other pool subsystems. Incorporating them into the control strategy can yield additional energy savings. When a large solar system turns on, it diverts a large part of the main loop flow toward the solar array. This can disrupt the balance of the other subsystems and cause an emergency shut down of the pool. For a solar pool to successfully maximize heat production, while keeping the other pool subsystems balanced, it takes an array of sensors, automation, software, and precise control strategy. 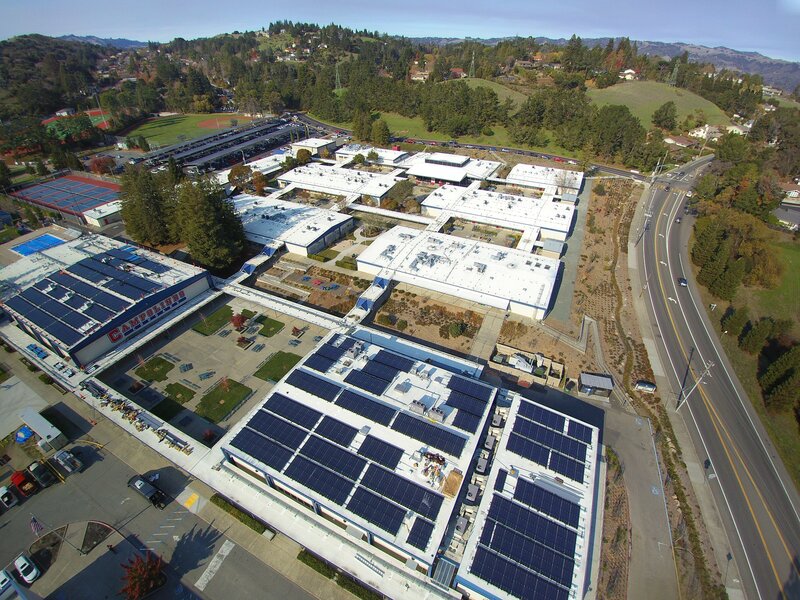 These sensors report subsystems’ status, while the controller software performs the delicate balancing act of keeping the pool running - maximizing solar energy production as it minimizes electrical and thermal energy expense. A successful control strategy includes measuring the pool, boiler and solar flows, pool chemistry (ORP and PH), and associated temperature of all three loops. In addition, it is important to install solar and drain solenoid valves, pumps, and boiler control switches on top of a solar pump variable frequency drive (VFD) and required plumbing. The array flows must be balanced, and the array able to drain when the time is right. The conventional strategy of solar control is turning the solar pump “full speed” ON or completely OFF, whenever the temperature differential (dT) between the array and the pool goes over or under a certain threshold level. Unfortunately, this method does not consider the rest of the subsystems (that must perform in concert with the solar system), and will eventually send the boiler or the chemistry controller into emergency shut down. It’s important to install a solar solenoid valve on the solar supply line, to eliminate array ghost flow. The solar pump should be operated via the solar VFD, allowing soft start, ramping speed slowly while shutting down the boilers, giving the system time to maximize heat harvesting. The solar pump VFD is used to vary the solar flow as a function of dT, which keeps the system humming at an optimal dT range while the sun is out, saving on the pump kWh spending. When the solar system turns on, keep an eye on the main loop flow - if it drops to a predetermined lower threshold, ramp up the main pool speed to maintain the minimum flow needed to keep the pool running. Turning the solar system off, use the VFD to soft stop the solar pump, turn the boilers back on, and shut the solar solenoid valve (to eliminate continues ghost flow through the array). One important aspect of a control strategy is the mandated CSI freeze protection. The mandate calls for the complete drain of the solar array every time the solar system turns off, which means filling it back up again as soon as the dT is right. Filling and draining the array multiple times a day is inefficient and costly. The best approach is to keep the array full of water; only completely drain it when the array temp falls under 45°F. Use a drain pump that kicks in on command, for complete active array draining. 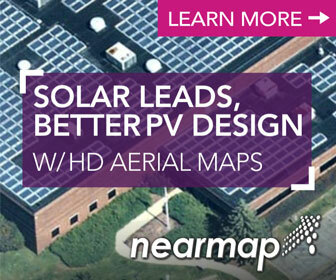 With an average solar pool system price tag of over $500,000, real-time control and monitoring is a must. The reality is that most of these systems are built and left on the roof, with the assumption that they’re working properly. A more wholistic approach involves providing online, 24/7 access to the pool via any smart device. This includes submetering the main pool pump electricity usage, boiler thermal energy consumption, and contrasting it with the solar system energy production, along with pool chemistry. By providing immediate access to a live dashboard, the operator can verify – at a glance - that all systems are operating within the set parameters. Even the most dedicated pool operator needs help keeping tabs on his pool system. A system monitored in real time will use push notifications via text or email. As soon as any parameter gets out of permittable range, the system notifies the operator. Using the built-in control center, the operator can immediately intervene before it turns into an emergency. As soon as a notification is received, the operator logs in. The system’s built-in analytical tools help to quickly analyze and determine the root cause, and remedy. If solving the problem requires a higher level of expertise, the operator can download the information as a CVS file and share it with the appropriate party, or call the installer for service. While monitoring the pool and solar systems is vital, it’s just as important to be able to fine-tune the system for additional energy saving, or to prevent a catastrophe. A built-in control center lets the operator choose which components to turn on or off, which can save an additional annual operating cost. Scheduling the pool pump speed and boilers can increase annual savings up to 65 percent. 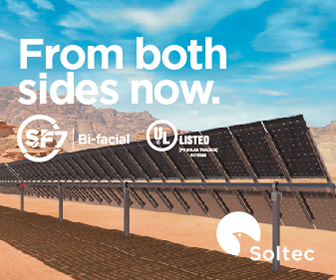 In the end, the most challenging obstacle to creating scaled up solar thermal systems is cost. Therefore, careful design, and reducing cost before producing for short ROI is key. Gal Moyal is the Founder and CEO at Maktinta Energy, a provider of comprehensive cloud-based control and monitoring solutions, energy efficiency design and implementation, and renewable energy solutions. Maktinta manages on/off grid energy efficiency of large complex mechanical systems covering hydraulic, electrical, agricultural and renewable disciplines with emphasis on solar thermal solutions.